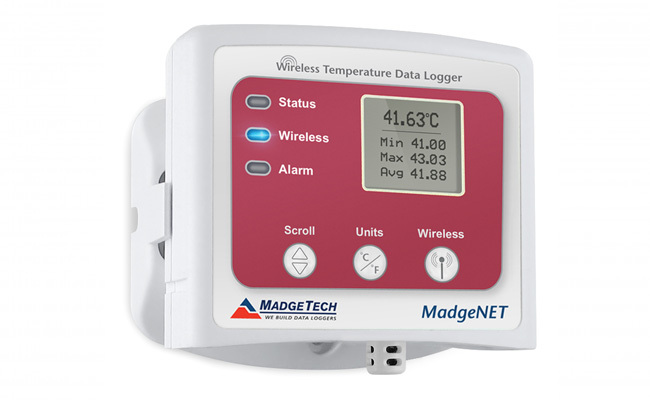 Wireless temperature data logger featuring a digital display. SKU: RFTemp2000A. 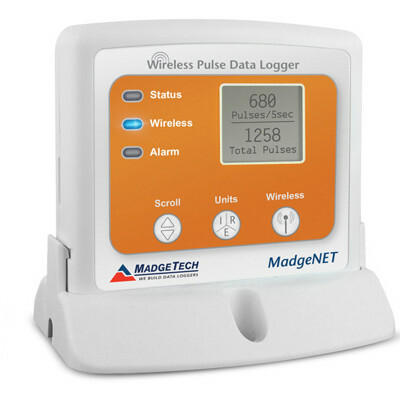 Category: Wireless Data Loggers. 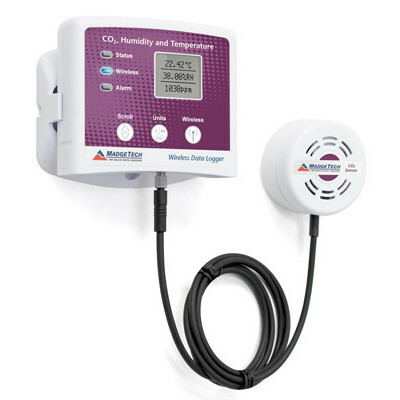 The RFTemp2000A is a wireless data logger featuring a digital LCD display. 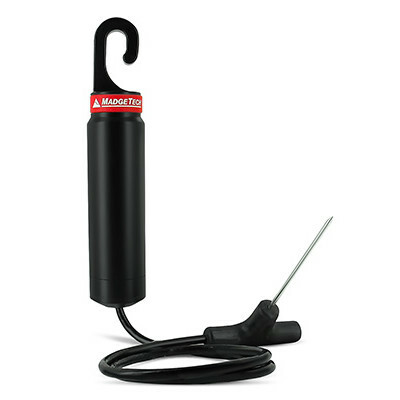 The device measures ambient temperature, making it ideal for monitoring perishable goods, chemicals and more. 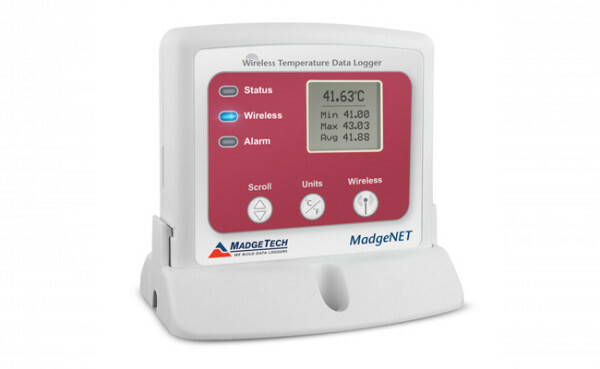 Starting, stopping and downloading from the device are all performed wirelessly using the RFC1000 wireless transceiver, allowing the user to spend less time maintaining the data logger. Data can be sent in real time back to a central PC, or the device may be downloaded at periodic intervals, depending on user preference. The digital display provides the current reading as well as maximum, minimum and average statistics for quick snapshot of the logged data. 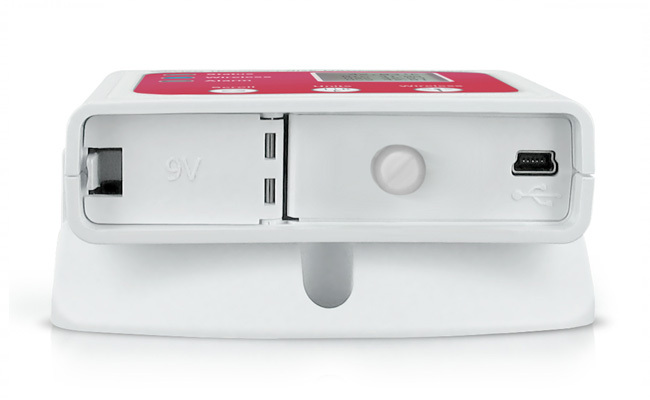 An audible alarm as well as LED alert can notify users when the temperature is above or below the user specified alarm setting. Using the MadgeTech software, email and text message alarms can also be configured to notify the user when defined thresholds are breached. 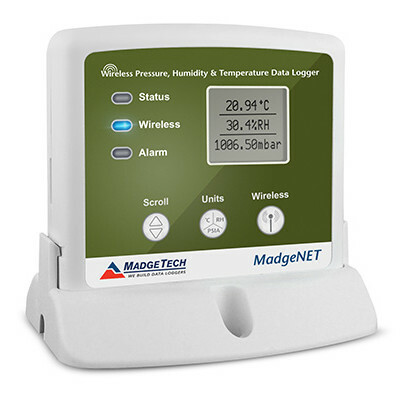 The RFTemp2000A uses the latest version of the MadgeTech Software, available for download on the site. The software can display downloaded data in either graphic or tabular form. The data can also be viewed in summary and statistic views and also exported to Excel for further calculations.